It may be New Zealand’s top-notch topographical features – majestic mountains, gliding glaciers, rushing rivers – that have made its geology so apparently astounding, but the country's stunning natural wonders continue straight on through to its cavernous core. The tiny town of Waitomo serves as headquarters for some of New Zealand’s most extraordinary cave adventures, with some 300 regional limestone caves and a network of sinkholes and underground rivers lying just underfoot. Just back from a two-day tour of Waitomo, I’ve rounded up three choice cave experiences guaranteed to shine new light on your perceptions of such depths – and not just because of the luminescent glowworms that light up these sunken limestone landscapes! Explore the region’s most famous cave system on this popular 45-minute guided tour, which incorporates an easy, well-lit walk through the damp, dark tunnels of Waitomo Caves. Formed more than 30 million years ago, these limestone labyrinths turn over cave formations like stalactites, stalagmites, and pillars, and showcase the majestic “Cathedral” cavern, known for its excellent acoustics (opera diva Kiri Te Kanawa and the Vienna Boys’ Choir have performed here) – all topped off by the glowing bugs just overhead. Ogle this mini-galaxy of glowworms – a sort of fly larvae that latches to the cave ceilings – while gliding silently underneath them on the grand finale boat tour; you’ll feel as if you’re staring at the starry night sky. Tickets cost $39/adults, $17/kids. Survey the stunning subterranean setting of Ruakuri Cave on this two-hour guided walking tour, which leads through a dramatic spiral man-made entrance to a series of well-engineered walkways. Traverse a network of narrow passageways, encountering elaborate limestone cave formations, underground rivers leading to hidden waterfalls, twinkling glowworms, and Maori legends and tales. Costs $55/adults, $21/kids; save by booking a combo ticket with the Waitomo Glowworm Caves for $68/adults, $25/kids. If Ruakuri’s underground caves, rivers, and waterfalls have you intrigued, push your caving thrills to new extremes with one of the action-packed black water rafting adventures offered here with The Legendary Black Water Rafting Company. You’ll be equipped with wetsuits to cope with the frigid water temps and headlamps to navigate your way through your pitch-black surroundings, while river tubing your way through Ruakuri’s subterranean waterways. Stick to simple river tubing on their Black Labyrinth tour ($98, three hours), or add rappelling, zip lining, and climbing to the mix on the adrenaline-pumping Black Abyss tour ($181, five hours). 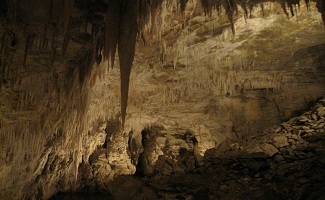 Or, try their newly launched Black Odyssey tours ($144, four hours) for a more technically driven dry caving adventure. (Money-saving tip: Book tours in advance online and save an extra 10 percent). Waitomo is a 2.5-hour drive from Auckland’s international airport. For one of the best value lodging options in town – and in all of New Zealand, for that matter – bunk down in one of two private cottages at Te Tiro, set on the rolling green hills of a private sheep and cattle farm, just above Waitomo’s town center. The cottages here boast plenty of room for families, with private attached baths, kitchenettes (stocked with goodies for an included-in-the-rates continental breakfast), and verandahs overlooking the sweeping countryside below – all set just steps away from the farm’s very own glowworm grotto. Rates from $99/night.